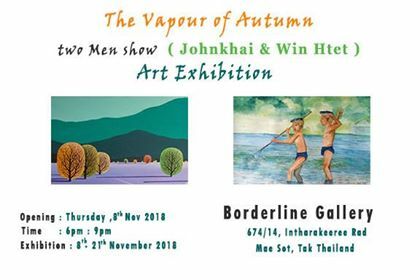 On Thursday November 8, 2018, Borderline will be the host of the art by Gallery members Win Htet and John Khai. Their styles are very different, their love for art the same. Come and see how they differ and talk with them on November 8 from 6 to 9 pm. As usual there will be drinks and snacks provided by our teashop.